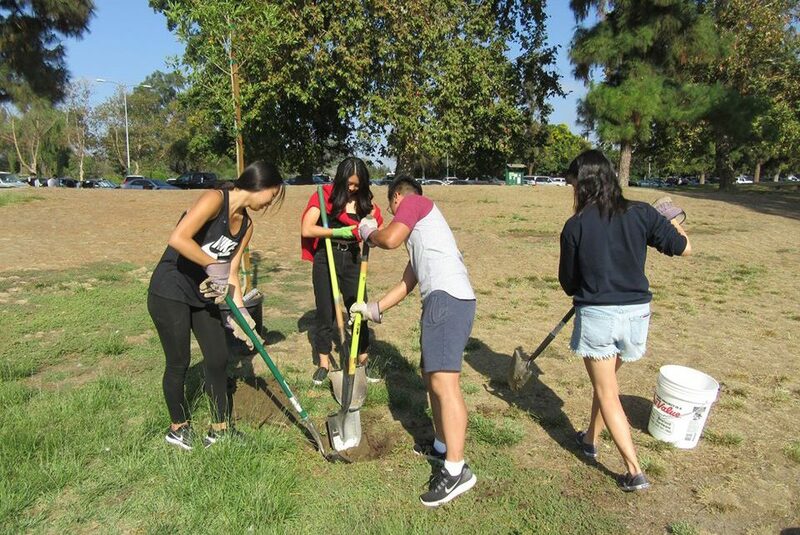 Amigos De Los Rios | Emerald Necklace Group is building green infrastructure and planting trees all across the San Gabriel Valley and Los Angeles basin that will establish large, protective – shade providing canopies in areas needing enhanced urban forest. Urban forests are forests for people, they are systems of trees, other vegetation and water within the urban area (cities). The urban forest is a dynamic green infrastructure that provides cities and municipalities with environmental, economic and social benefits. These greening efforts provide additional benefits to greenhouse gas uptake, mitigation of heat islands, improving air and water quality, and storm-water management. As a member of the National Urban and Community Forestry Advisor Council, our Managing Director, Claire Robinson participated with other dedicated green infrastructure planners to create the recently released a “Ten Year Urban Forestry Plan”, which complements the Forest Service’s Strategic Plan. 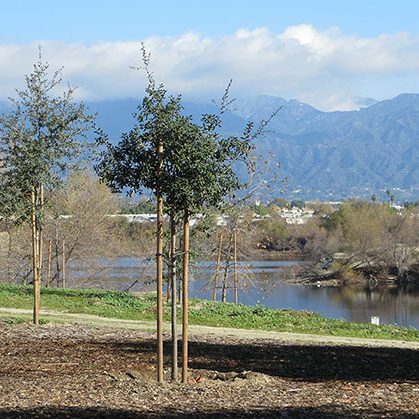 The Ten Year Urban Forestry Plan will serve as a reference guide for all communities, stakeholders and individuals interested in the development and management of their urban and community forests. 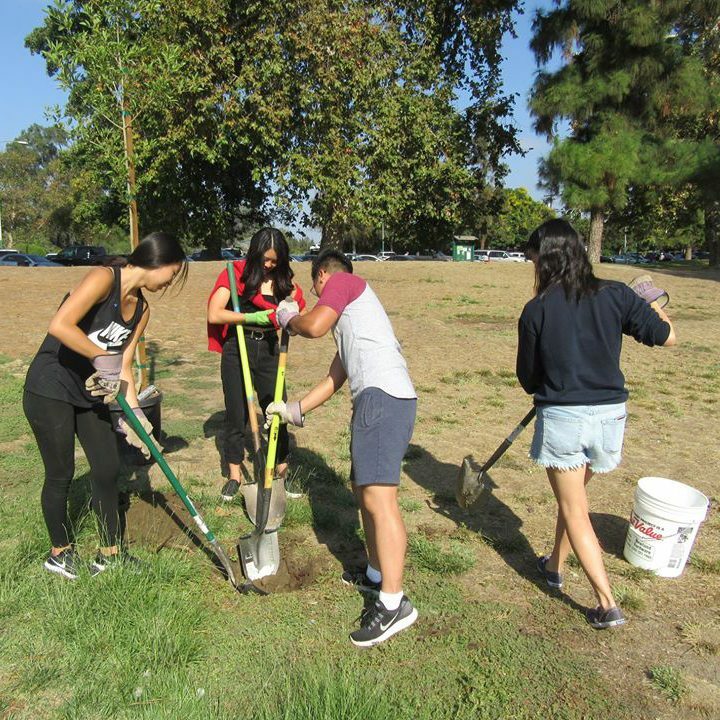 Amigos De Los Rios | Emerald Necklace Group is working to develop community coalitions and build teams to create and maintain the urban forest and green infrastructure. 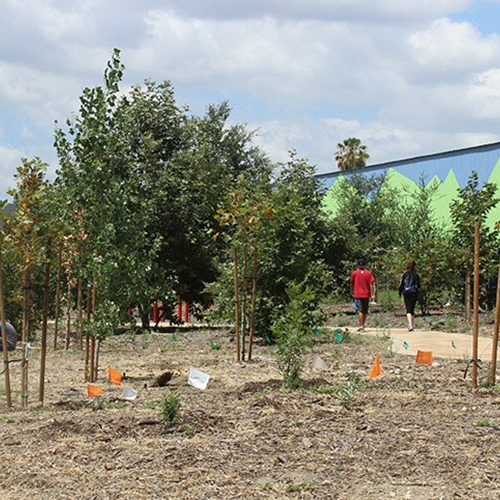 Using our Park Projects as demonstration designs for the benefits of green infrastructure and urban forestry, our program actively engages the school communities of East Los Angeles County providing an education for the community and maximizing the benefits of urban forestry. 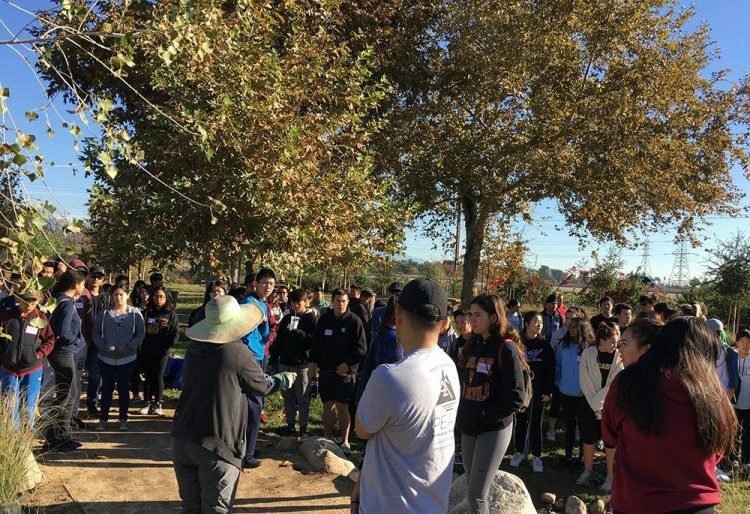 Students, parents, and staff at schools along the Emerald Necklace green way are working with Amigos De Los Rios | Emerald Necklace Group to create a tree planting greening plans for their campus. Lessons associated with the planting unfold in the classroom and in the new outdoor education space created by the greening process. 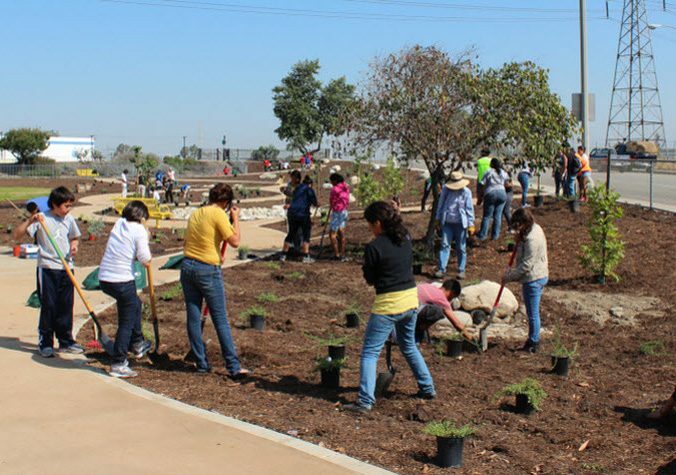 The principals of the elementary schools, and various school district staff, work with Amigos De Los Rios, along with City Staff for each park site. 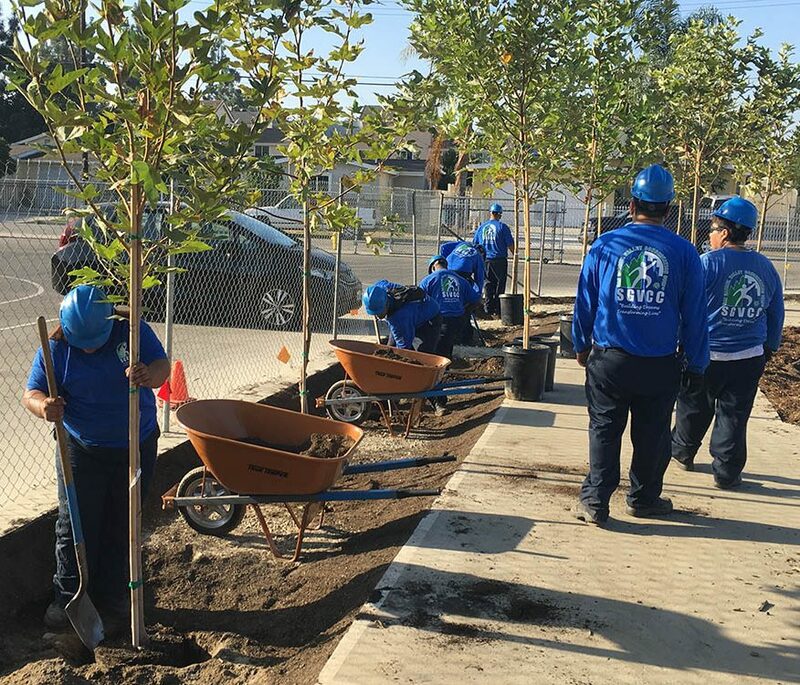 Working with CalFire, Amigos De Los Rios Team, the Emerald Necklace Stewards and the communities of El Monte, South Gate and Downey planted hundreds of native trees to improve the urban forest canopy of their cities. AMIGOS manages the Emerald Necklace Stewardship Events for the Emerald Necklace Regional parks, assisting the municipal maintenance personnel with park care.